DC Office, Kamrup Recruitment 2017- 19 Nos. Mandal Vacancies: Last Date 14-07-2017. - Jobs4NE : Jobs in Assam and North East India. 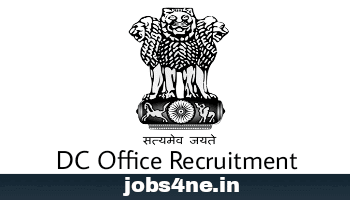 DC Office, Kamrup Recruitment 2017- 19 Nos. Mandal Vacancies: Last Date 14-07-2017. In pursuance of Govt. approval for filling up of 19 (Nineteen) Numbers of vacant sanctioned posts of Mandal vide letter RLR-158/2010/158, Dated 20-04-2017 applications are invited from the intending candidates in Standard Form as published in Assam Gazette in Part-IX for filling up the following 19 (Nineteen) Nos. of vacant posts of Mandal under the amalgamated establishment of the Deputy Commissioner, Kamrup, Amingaon. Last date for receiving of application: 14-07-2017. Name of the post: Mandal. Total no. of post: 19 (Nineteen) Nos. 1) OBC/ MOBC - 2(Two) Nos. 2) U/R - 6(Six) Nos. 3) ST(P) - 4(Four) Nos. 4) ST(H) - 4(Four) Nos. Low Vision - 1(One) No. Hearing Impairment - 1(One) No. 6) SC - 1(One) No. Age Limit: Candidate must not be less than 18 Years or more than 38 Years of Age as on 1-1-2017. The upper age is relaxable by 5 years in case of the candidates of SC/ST and PH. Qualification: Passed H.S.L.C. examination or equivalent examination with 6(Six) months Recorders’ Course Class Certificate from the Assam Survey and Settlement Training Centre, Dakhingaon, Guwahati only and the Addl. Mandal, working/ retrenced from any Settlement/ Re-Settlement Operation of Assam. Scale of pay: PB-2- Rs. 14000 -49000/- + Grade Pay Rs. 5600/- + other allowances. How to Apply: The application should reach the office of the Deputy Commissioner, Kamrup, Amingaon on or before 14-07-2017 upto 5.00 P.M.
a. Self Attested copies of all certificates of educational and other qualifications, age, caste, employment exchange card alongwith other testimonials.